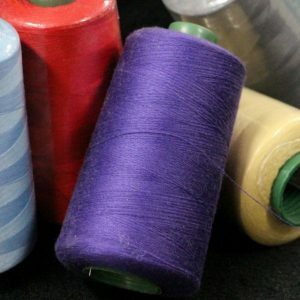 Woolly Nylon Overlock thread – 1500 m reel. Use this thread on your overlocker for a solid effect. The nylon stretches as it sews and fills in between the gaps of the standard overlocking stitches, leaving a lovely decorative edge. 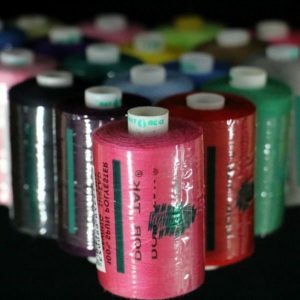 This well priced 1000m reel Overlock/Sewing Thread is of high quality, and can also be used in your standard sewing machine, as well as an overlock thread. Using smaller reels for your overlocking ensures a good colour match to your fabric. Available to purchase in any quantity, full box size is 10. 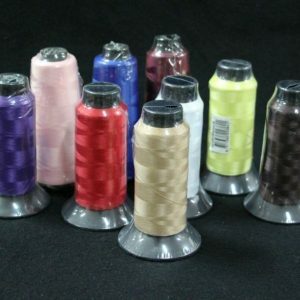 Overlock Thread 2000m cones are an excellent quality, and very good price. The 2000m size comes in a versatile colour range. Available to purchase in any quantity, full box size is 10. 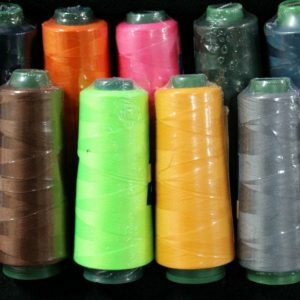 Quality 5000m Overlock Thread cones – great value – useful base colours. Available to purchase in any quantity, full box size is 6.